I recently posted on FB that, "You're only as sick as your search history". Gluten-Free make up brushes? I mean, is that really something that needs to exist? Are brushes made of gluten? And is there someone whose skin is so delicate that a gluten-based brush would put them in the hospital? 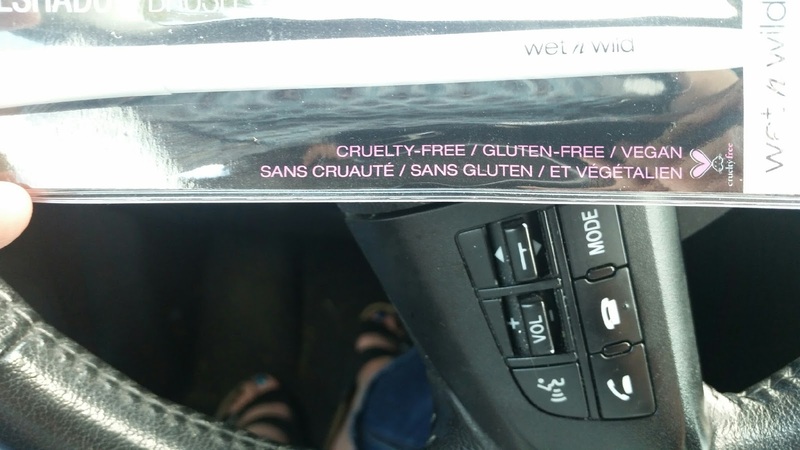 I don't know that Wet n Wild Cosmetic Co. is known for their ironic humor, but maybe this is a joke. If anyone has a thought on this, I'd gladly entertain it. 2. Carolina Reaper. I started making pepper jelly this past weekend, and I bought some hot peppers at the Farmers Market - the guy who sold them to me is the same guy who sold me a ton of basil for $2 last month. I bought six habaneros, and as we're putting them in my bag, he throws in a few extra. He tells me that a few of the ones I picked were not habs, but Carolina Reapers. Since I don't keep up with horticulture, that didn't really trigger anything for me. Then, when I tasted the first batch, I thought, "Gee, that's hot." And I looked up my new pepper. Fear the Reaper. It's one of the hottest peppers on the planet. It was cultivated from a habanero and a ghost pepper by a guy who owns a company called PuckerButt Peppers. That's all that needs to be said. 2a. A corollary to this search were the searches, "How to remove pepper oil from hands", "Pepper chemical burns" "Pepper on hands". I briefly handled a some of the reapers sans gloves. Mistake. I used a combo of milk, hand sanitizer, a stainless steel "soap" bar, and lots of Dawn. I also used some peanut butter, but that was somewhat of an accident. Anyway, I'm going to live. 3. GI Joe PSA Parody. You need to watch it. This is over a decade old, but it's funny as hell. My former colleague, Eric, and I would watch it on the road. I mentioned it a week ago, and found out one of my new colleagues loves them as well. We showed it to a third person, and now, we all quote it endlessly. 4. M-W.com - I've had to look up tons of words recently. Chocks, Eloping, Gadfly. Words are power. Kick it! That's what I've got in my history. Now it's time to look to the future, and kill it with fire. I must find some way to slip "Does your mother still hang out at dockside bars?" into conversation this week. My lord. It's like looking in a mirror.